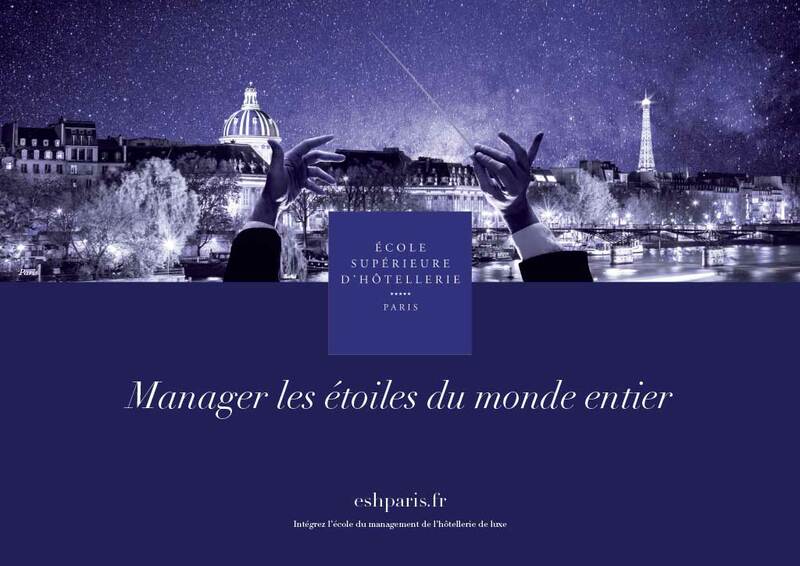 Discover this annual study in which the school analyses hotel management postgraduate programs in France, based on public data. This study was originally intended for students of the Luxury Hotelschool for purely educational purposes. We hope you find this information useful. 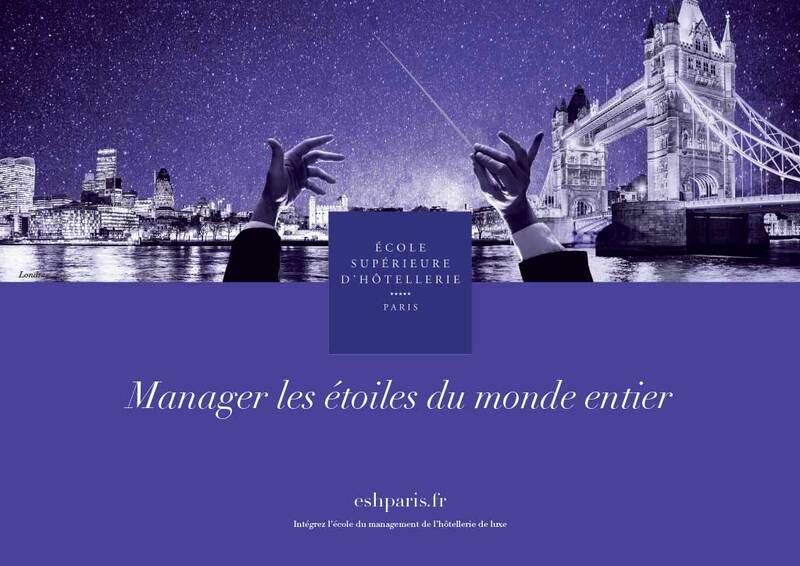 This study of postgraduate courses in hospitality management in France has been published every year since 2013. The study was created to teach our students the subtleties of the French education system and in particular the difference between a Master of Science awarded by a university and a professional certification. It is quite simple: only a university can deliver a Master in France or in the United Kingdom. The confusion comes from professional certifications in France that are sometimes marketed under the names MBA, MSc or Master of science. In this case, only the professional certification is approved by the state; the MBA, MSc or French Master of Science is not State-approved. MSc, MBA and Master of Science in France are not Master's degree when they are not awarded by a university, they are professional certifications instead. The RNCP is the directory of these certifications and is available online. The certification is State-approved, the MBA, MSc or Master of Science is not, it is a trade name. Professional certifications are not comparable to a master's degree in terms of academic level. A master's degree is based on research, requires the access to an extensive library and includes the presentation of research methods that culminates in the writing of the dissertation. 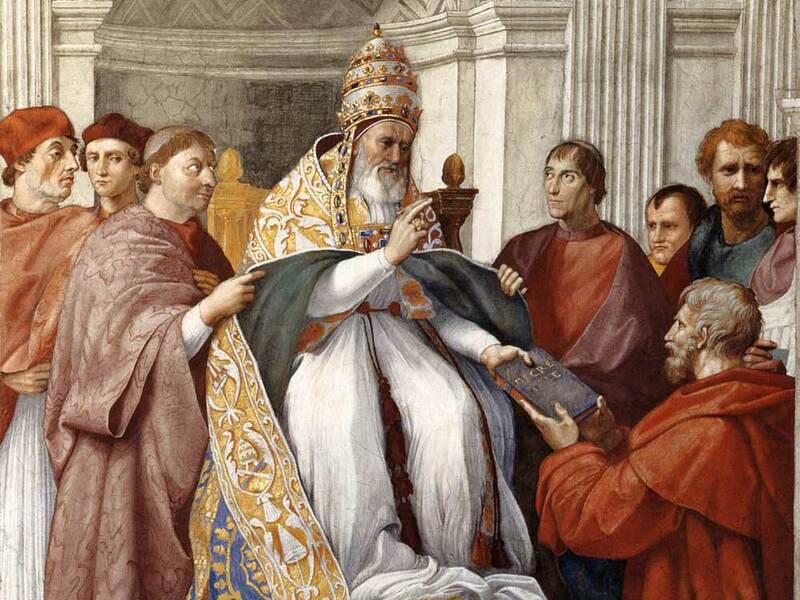 In a papal bull by Pope Gregory IX in 1231, Parens scientiarum, the masters were recognised. Eight hundred years later, in 2002, the degree of master is created in France, exceptionally using an English word. The UK government publishes a list of universities or colleges that are officially recognised and can award degrees like a bachelor or a master's degree. In France too, a list of public educational institutions is published by the Ministry. An ordinance dated April 25th, 2002 in France creates the master's degree and article 7 states that only public institutions duly recognised can award the Master's degree. In France as in the UK then, only universities and other public institutions can award degrees. No business school and certainly no hotel school in France can deliver a bachelor or a master's degree alone. 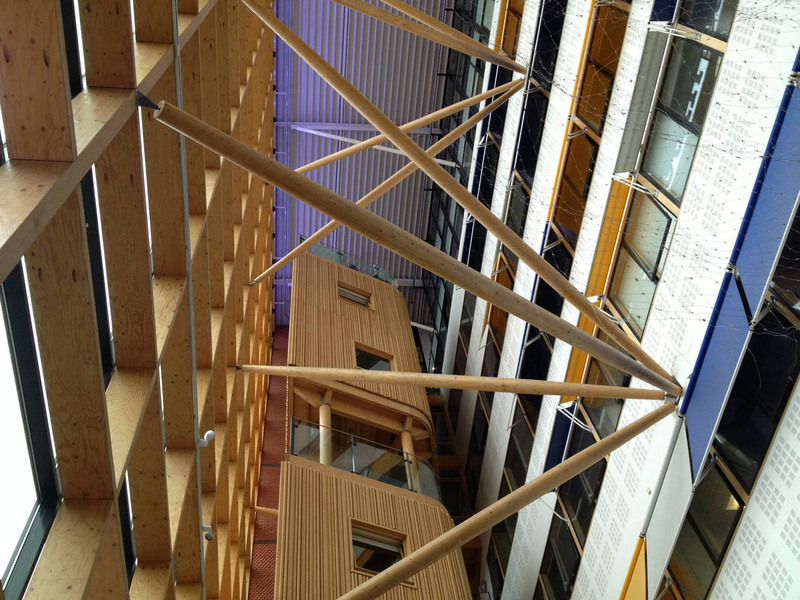 The grandes écoles in France are private business schools with a prestigious programme named programme grandes écoles, that is very selective and with a high academic level. Theses programmes nonetheless do not award a master's but rather the school's diploma that is State approved and grants the master's level. In the list of recognised programmes, there is no hospitality programme, no Master of Science, only the programmes grandes écoles. 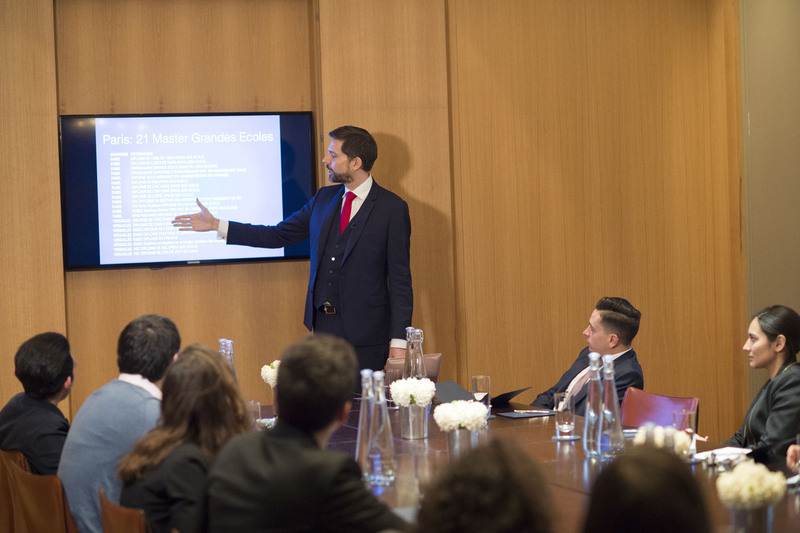 LH Luxury Hotelschool jointly delivers the master of science in international tourism and hospitality management with London South Bank University. As of 2018, it is the only authentic degree in all French hotel schools. Master's degree are for example master of science or master of arts. In France, it is rather master of research or professional master. Both degrees hold the same place in the European framework at level 7 and have the same origin. The UK Master of Science is one of the most prestigious degree in the world. Graduates can request an official comparison with French degrees if required. An example of the document they receive is accessible below. LH Luxury Hotelschool jointly delivers the bachelor in international tourism and hospitality management with London South Bank University. 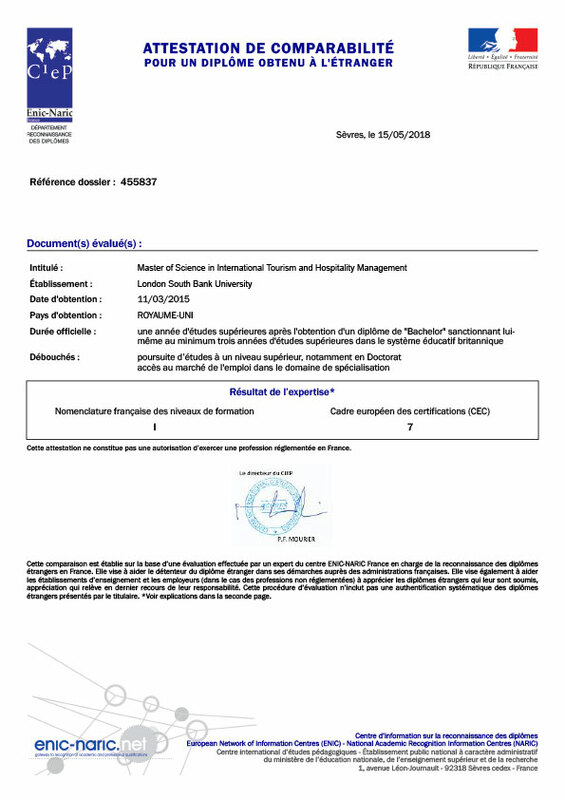 As of 2018, it is the only authentic bahelor's degree in all French hotelschools. Bachelor's degree translates ins French into licence. Awarding a licence in France is restricted to universities, as is the awarding of a bachelor in the UK. But in France, the word bachelor is not protected, which means that a bachelor in France can be anything from a professional certification to a school certificate. It is never State-approved if there is no university involved. Along with the French bachelor, a professional certification might be delivered, the certification is State-approved but not the bachelor.